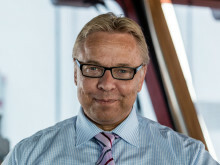 Jakob Thomasen, Chairman of ESVAGT as from 1 May 2018. Jakob brings more than 30 years’ experience of the transportation and oil & gas industries gained from over 28 years at A.P. 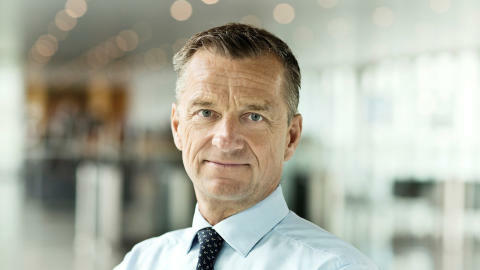 Møller - Maersk, the last seven of which he was Chief Executive Officer of Maersk Oil and a Member of the Maersk Executive Board. Jakob is currently Chairman of the DHI Group, a world leader in the management of sustainable water environments, and a non-executive director on the Boards of Lundin Petroleum AB, an independent oil and gas exploration and production company, and the University of Copenhagen. He is also Chairman of the Advisory Board of the Hempel CoaST research center at the Technical University of Denmark (DTU). In addition, Jakob coaches and advises executives and boards on leading transformational safety and operational performance programmes. ESVAGT will benefit from Jakob’s leadership skills. In addition, his extensive experience of the oil & gas and transportation markets, and his particular focus on safety, will be invaluable to the company going forward. With the offshore wind market on a path of rapid growth and the company’s oil & gas activities recovering fast, Jakob’s role will be to help ESVAGT take the next steps on its growth path.